Sitting amid 30 acres of land on the north west side of San Antonio, is the beautiful and historic campus of Thomas Jefferson High School. 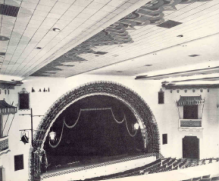 It was built in 1931-32 with the assistance of local artisans and craftsmen. In 1929 only two high schools existed in San Antonio, Brackenridge High on the South Side of town and Main Avenue High on the North. 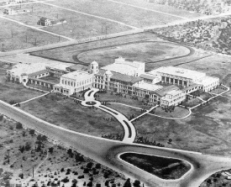 While Brackenridge was somewhat new at that time, the Main Avenue High campus was showing its age and due to population growth in the northern areas of town, it was also extremely crowded. The citizens of San Antonio passed a $3,700,000 school bond proposal and the newly founded senior high school referred to in Life magazine as “the most outstanding high school in America” was to the last project in this public school building program. The San Antonio Independent School District, with the recommendation of Superintendent Hartley, purchased a 33 acre tract of land known as Spanish Acres for $94,588.75. It was a site, overgrown with weeds and mesquite trees, only accessible on horseback because there were no roads past Fredericksburg Road at the time. The School Board and Phelps and DeWees, project supervising architects, recommended the architectural firm of Adams and Adams to design the building. Created in a Spanish Moorish design to reflect its proximity to The Old Spanish Trail, it was to be an expensive building costing more that $1,250,000. School District officials were criticized for this extravagance during the Depression Era when 100’s were waiting in bread lines and families were going hungry. The structure looked like a luxury hotel, a university campus or a palatial residence built like a Spanish estate [see Architecture]. The construction of the school in 1931-32 did put food on the table for many local families. Eight mule-drawn rigs were used to dig the 35 foot deep holes for the foundation. 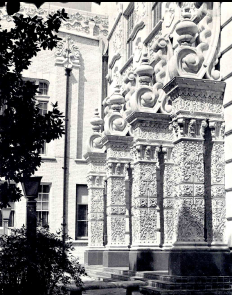 An Italian immigrant, Hannibal Pianta [see Pinata Art] and his son Eugene did the elaborate carvings that create the columns of the entryway at the main entrance. The ornamental concrete was made in sections using concrete molds located at the Pianta Company on Fredericksburg Road and then transported to the site. 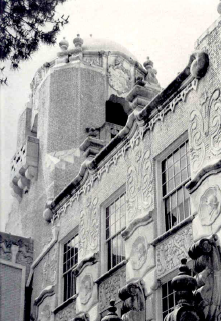 The Pianta family also did the ornamental work at the Aztec theater and their grandfather contributed to the elaborate stonework at the Texas State Capitol. The interior of the school and a special hexagonal pond located in an interior patio are all decorated with decorative tile in the Spanish motif created by Mr. Tony Lozano of Redondo Tile [see "The Fish Pond Project"]. Construction began in the fall of 1930 and when completed in January of 1932 it was like no other school in the entire country. The building itself, in Spanish-Moorish design, is built around two large patios and with a large silver doomed tower and a sub-tower. The roof is made of red Spanish tile and wrought iron balconies protruded from the windows. When it opened, Jefferson High School held regular classes in history and math but they also featured classes in manners, dancing and radio broadcasting. The nearly 1,400 students who chose to transfer from Main Avenue High School picked the name Thomas Jefferson High School, the colors red and blue and the mustang as their mascot and before the end of the first decade of service Jefferson High School had become nationally and internationally known. In 1937, Jefferson High became nationally known when it was chosen out of 1,500 schools as the most outstanding high school in America. The following year, March 1938, Life Magazine featured the story of Jefferson High School in pictures. Twentieth Century Fox filmed two movies on the Jefferson campus: “High School” starring Jane Withers in 1938 and its sequel “Texas Girl” also with Jane Withers in 1939. On March 14, 1938, Paramount Pictures began making a special newsreel of Jefferson as America’s most modern high school. By the close of 1938, Jefferson had appeared in Life, The American Weekly and several European publications and in 1947 it also appeared in National Geographic magazine. 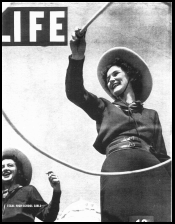 The feature in Life Magazine had a cover photo of two of the famous Jefferson Lassos, a pep club founded by Miss Constance Douglas in October of 1932. The uptown cowgirl look of the group featured a blue flannel skirt, blue bolero jacket, red satin blouse and a pearl gray Stetson had and a lasso rope. In April of 1940, in support of the war effort, shots were made for the introduction of a new short film, “Lasso Wizards” which would entertainment of servicemen overseas during the war. In 1944 the students had bought enough way bonds to buy 40 Jeeps and an airplane for the Air Force which was named “The Spirit of Thomas Jefferson”. By November of 1942, Jefferson had added 500 beds to her 105 bed emergency hospital which led any other agency in Texas at the time. 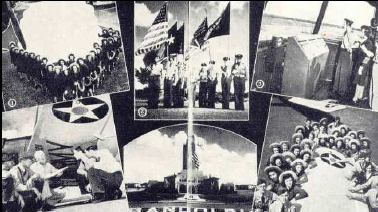 Thomas Jefferson High was behind the war effort and was ready for any emergency. To preserve the unique heritage of the school, the Student Council of 1982-83 sought to have the building declared a city Historical Landmark. On May 15, 1983 after approval of the School Board, the San Antonio Historical Society and the San Antonio City Council made it official. On July 30, 1983 the Texas State Historical Society voted unanimously to make the structure a state landmark as well. The Society also recommended to the Federal Department of the Interior that Jefferson be listed on the National Register of Historic Places and both the landscaping and architecture were approved on September 22, 1983. Over the years, both the school building and the student body have received national and international recognition in newspapers, magazines, and films. The school has produced numerous outstanding alumni in the fields of Government, the military, communications, education, athletics, science, the medical and legal professions, business and the fine arts. 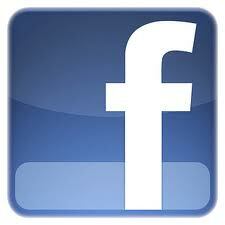 Thomas Jefferson High School remains a corner stone of the community today. With its Spanish Moorish design, it reflects the cultural diversity of the City of San Antonio as it reminds us of the many possibilities and talents of the men who helped build it during the hard times of the Depression Era.